Built in the 1880s by the descendants of one of the earliest German settler farming families in the area, the Streichers. It served as a “dorpshuis”,or townhouse, so that the family who lived a long way away would have a place at which to stay when coming to town. It was named BUKKENBURG after the town in Germany from where the original family Streicher came some 200 years ago. Shortly after our arrival here at the end of 1996, we embarked on an extensive programme of renovations. 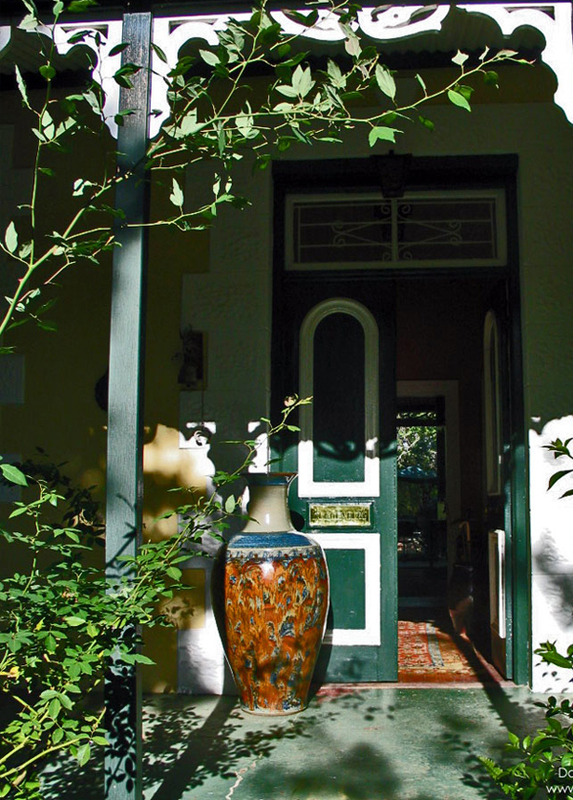 This work was undertaken under the guidance of Gawie Fagan, the eminent South African architect and his wife Gwen. We built an extended living area at the back of the house with a view towards the mountains and overlooking the old barn that has become the studio and showroom. 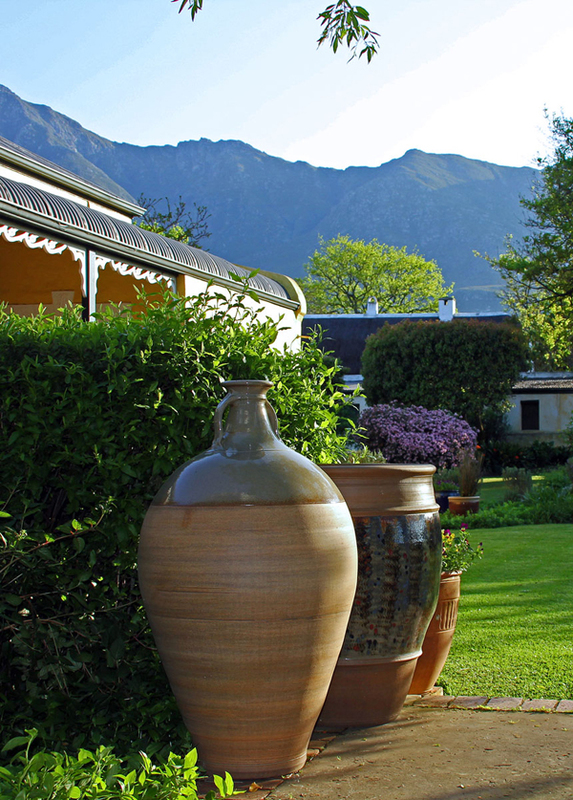 The grounds are overlooked by the majestic Langeberg Mountains that tower over the town. We have also developed the grounds and we are able to keep ourselves supplied with fresh vegetables and salads as well as supplying local restaurants, guest houses and residents. Thank you for spending time on our Bukkenburg pages.